The Quidi Vidi Village of St. John’s, Newfoundland and Labrador is not found on the Great Northern Peninsula but is part of the fabric that quintessentially exudes rural living. 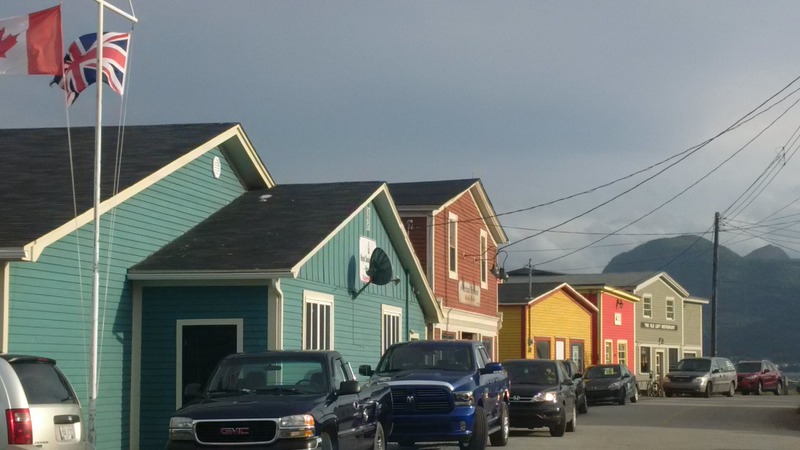 As I strolled through the Quidi Vidi Village one just falls in love with the rocky and curvy coastline, the small fishing boats, fishing rooms, stages, walking trails and the colourful houses. If we look much closer we see a thriving small business community with the presence of Quidi Vidi Village Plantation, Quidi Vidi Brewery, Mallard Cottage, The Inn of Olde, tours and future opportunities with expressions of interest being accepted for a vacant property. Rural Newfoundland & Labrador has sustained itself on producing its own goods and services, bringing new dollars into the economy from working away and supporting the local small business community. 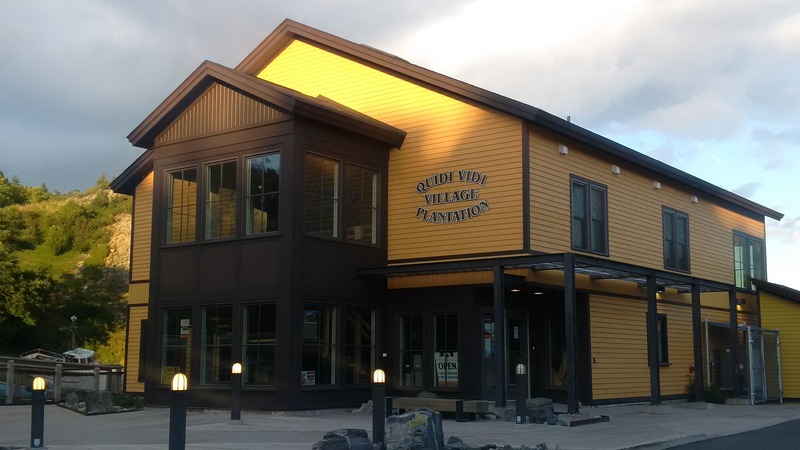 The Quidi Vidi Village Plantation should be replicated across the province. This concept is remarkable for supporting craftspeople at the beginning of their career. There are ten studios to visit in which unique craft product is being made before your eyes. It is a great opportunity to talk with the creator, ask questions about their process and see all the hard work and skill that has gone into making their product. This is a great incubation program when artists can renew a lease agreement with the City of St. John’s for up to three years. After three years individuals should be amply prepared to launch into the marketplace somewhere in the Province (More info: http://www.quidividivillageplantation.com/). It was quite nice to also see some our Great Northern Peninsula’s finest wildberry jams and teas for sale at this venue via The Dark Tickle Company (http://www.darktickle.com/). 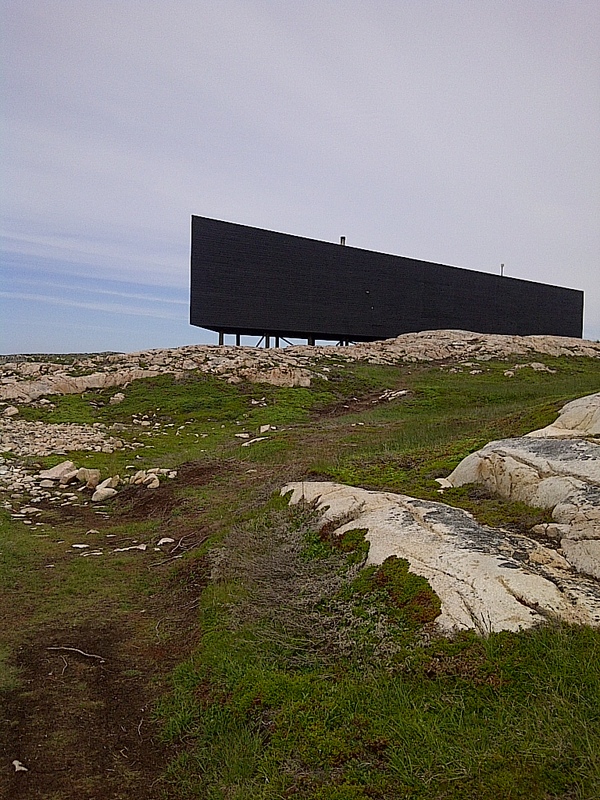 Artist studios are becoming much more popular, one only has to look at the work done by the Shorefast Foundation on Fogo Island (www.shorefast.org). Here’s a photo I took of one in Joe Batt’s Arm in 2012. Could Brown Cottage, St. Anthony supported through Grenfell Handicrafts be the next location for an artisan incubator? Englee with their mat hooking and glass art studio? Conche with their tapestry? As you can see we on the Great Northern Peninsula have ample opportunity as we have an abundance of local crafters and could attract new artisans to the area. Craft breweries are growing in popularity, especially in tourist towns of Jasper, Banff and Granville Island. 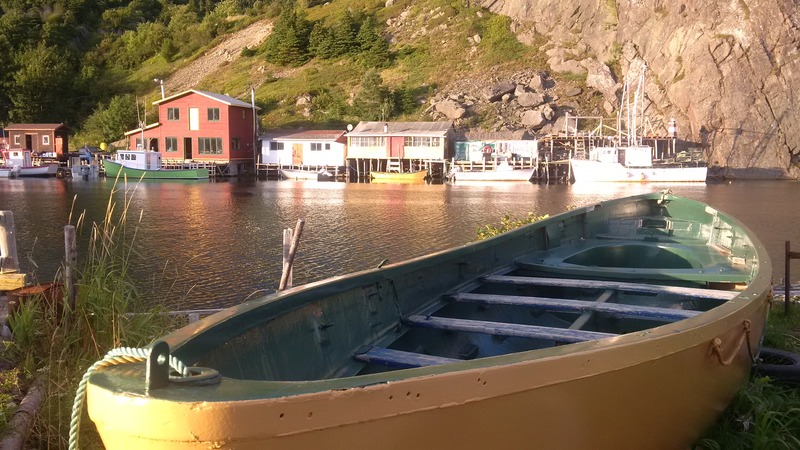 Quidi Vidi certainly makes a great location. One can visit for a tour and tastings on the hour until 4 PM. They are most notably famous for their Iceberg Beer in the beautiful blue bottles. They produce “Eric’s Cream Ale, formerly branded as “Eric the Red”, which has a connection to Leif Erikson, the first European to re-discover North America at L’anse aux Meadows more than 1,000 years ago. 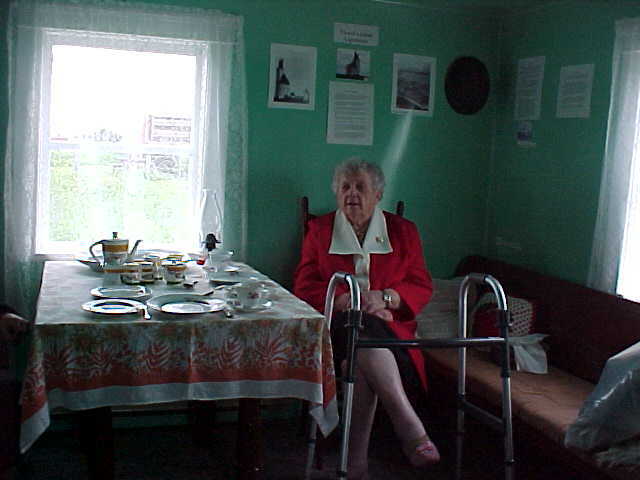 Could venues like the former Fisherman’s Galley work as it is en route to L’Anse aux Meadows World UNESCO Heritage Site? Or would a place like the Clock Shop in St. Anthony be a better venue to support local entertainment, pub, artist village, hostel and offices all under one roof? Or maybe some other combination is best to create a thriving rural business. There are opportunities in rural Newfoundland & Labrador to grow small business. A unique character certainly is a selling point for a small business. The Inn of Olde certainly has that interesting atmosphere with mountains of items hanging all around. 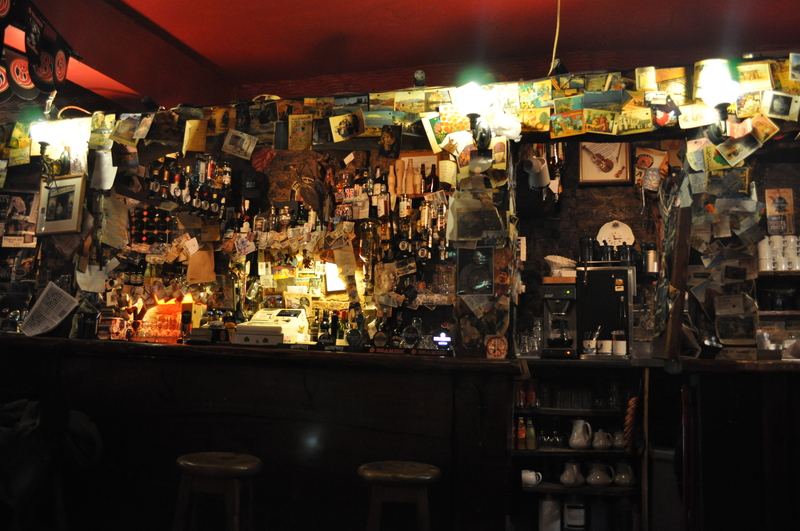 One that stood out was the sign “Gettin’ Married in the Fall – Fish or No Fish!” It reminded me of an Irish pub my mother and I visited in Cork during November 2010. The walls were covered in all sorts of postcards and other memorabilia. Skipper Hot’s Lounge in Straitsview is a venue that offers a unique atmosphere, promotes their own local band and does regular screech-ins. Kitchen parties are every Friday night during the summer. 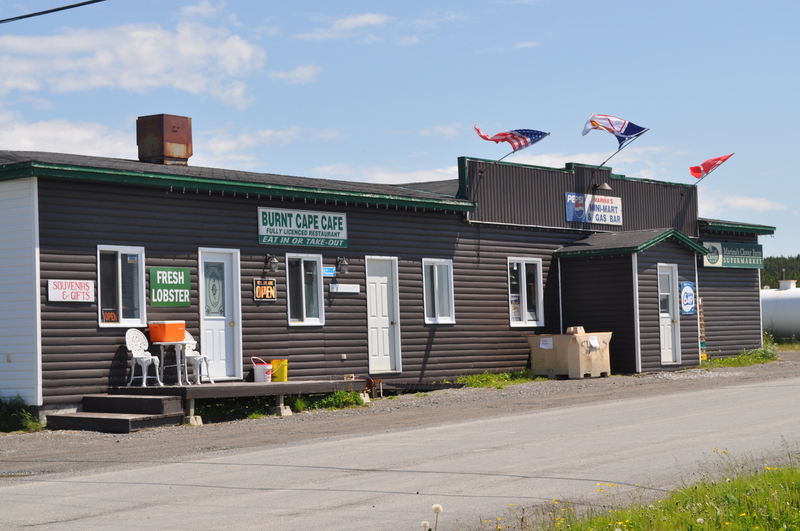 The Eagle Lounge in Sandy Cove has undergone new ownership, which may lead to changes to provide a more pub style atmosphere to cater to the local and visitor markets. Mallard Cottage is one of the oldest wooden structures in the province. It recently undergone extensive renovations to preserve the building and create a restaurant under the ownership of Chef Todd Perrin. I thoroughly enjoyed my visit to this venue as it truly does provide a very unique experience. It is a great place to get lost in conversation, while enjoying some amply prepared seafood and meat dishes that were sourced locally. One will not want to leave without the carrot cake cheesecake. My two favourite desserts blended in to one, makes you always wanting more. We have many local restaurants on the Great Northern Peninsula that work to support local hunters and source seafood locally. We must reduce barriers where possible to enable more local food to be sold closer to home. A rural economy will only survive and thrive if we support those who have business, make, grow, produce or sell a product or service. This is basically the premise of our existence from before the days of currency existed we would have our own gardens, animals, cut wood for winter and catch our own fish. For things we needed we would use the barter system. All this provided what we needed to live our daily lives. Although rural Newfoundland & Labrador has adapted to new transportation and telecommunication opportunities, we must recognize that we still require the support of those around us in community from our small business to everyday people to truly thrive in a modern day world. Raleigh is home to the awe-inspiring Burnt Cape Ecological Reserve, boasting over 300 plant species with 30 being rare. The Burnt Cape cinquefoil is found exclusively on the Northern Peninsula, as it is the only place in the world where this species grows. 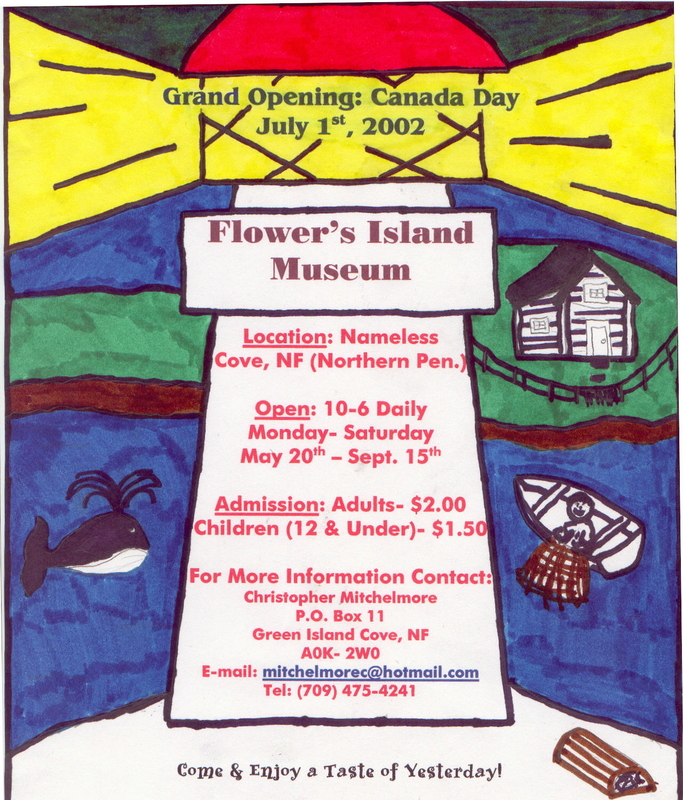 The Provincial Government of Newfoundland & Labrador has failed to live up to its obligations when it eliminated all interpretation at this Reserve. It has also neglected to install appropriate signage, develop educational material such as guidebooks and panels to preserve, educate, maintain road infrastructure and make available our natural areas to interested parties. These short-sighted decisions by Government impact and harm our rural communities. Where is Government’s commitment? Additionally, rural communities are facing pressures from out-migration, aging population and changes to the dynamics of the economy that sustained them since their beginning all across the globe. Sustaining our small towns takes commitment and I see that in entrepreneurs Marina and Ted Hedderson of Raleigh, NL. Yesterday, I was amazed by the creativity, commitment and desire to see the Town of Raleigh with a population of less than 200 survive and thrive. The current owners have been running Marina’s Mini-Mart & Gas Bar since 2001. They saw an opportunity to get into the accommodations business to compliment the neighbouring Pistolet Bay – Provincial Park, which is typically at capacity for tents and RVs throughout the season. I was given a tour of the cottages, which include 4 two-bedroom, 3 one-bedrooms and a newly added vacation home that has the most incredible ocean view. The vacation home is very spacious and family focused with two queen and a twin bed, laundry facilities, BBQ and a view you won’t want to leave. The two bedroom cottages are very immaculate, offering two queen beds, laundry and wooden finished interior. The three one-bedroom cottages have leather furniture and laundromat access, but the best feature is that they sit with a breath-taking ocean view from a large deck to sit and enjoy your morning coffee or evening beverage. There is an entertainment area for evening fires right at water’s edge. There 4-star accommodations are priced at an incredible value, ranging from $109-169. The Burnt Cape Cafe is a must if you are in the area. It truly understands the importance of experiential tourism. The Cafe takes lobster to a whole new level of fresh. The patrons, if they choose can go to the local wharf and select their own lobster and get their photos taken before and after. An incredible experience! After stepping into the cafe, my attention was immediately drawn to the back which includes a comfortable seating area, big screen television playing traditional Newfoundland music and I thought was a great place to sit and relax. They also know the value of WiFi, which is provided for free. The original six hockey jerseys are proudly displayed as in the off-season this area becomes on Monday nights, open to the dart league. 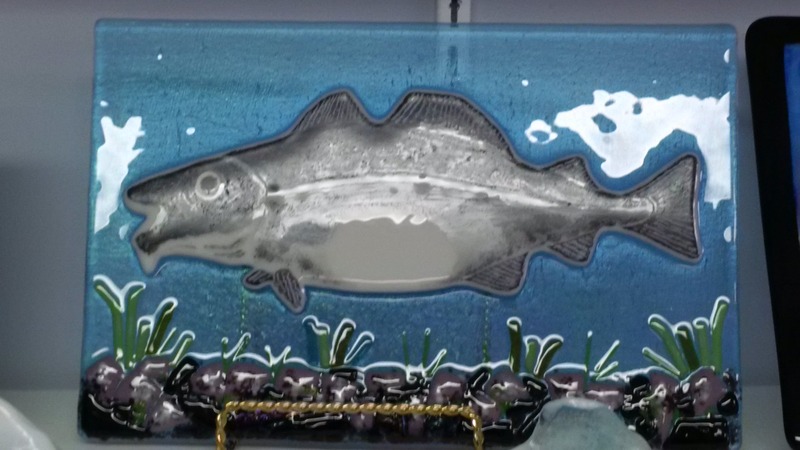 There is a wide-selection of crafts, souvenirs and other products. I purchased a Mummer’s shot glass, as I love the jannies. The Newfoundland tartan on the tables is a nice touch to compliment a menu that caters to those who love high-quality seafood dishes. 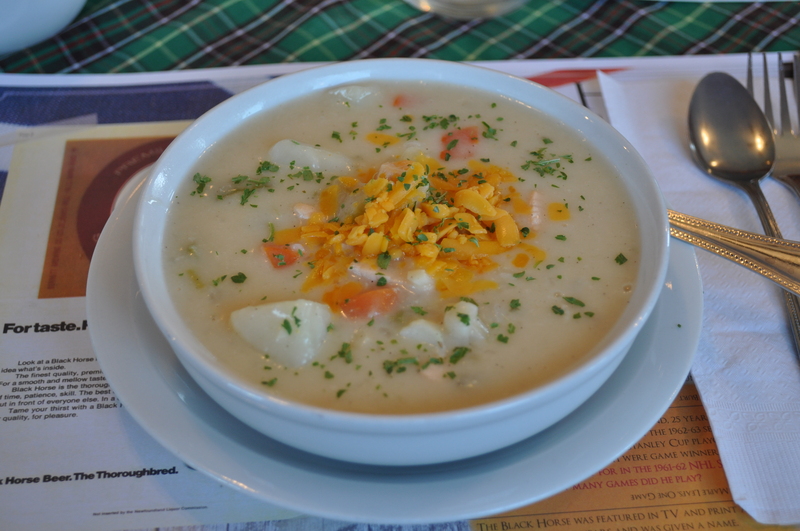 I was treated to some phenomenal chowder, it comes highly recommended to start. It comes with generous portions of salmon and cod, great creamy flavour that is amplified with a touch of cheese melting as you eat. As a main, I’ve had pan-seared scallops and shrimp in garlic butter that would melt in your mouth with Parmesan mashed potatoes that kept you wanting more. To top the meal off, the deep-fried ice-cream was superb. The rich coating ensured the ice-cream was cold and in tact while I slowly enjoyed this treat drizzled with bakeapples. If you have not eaten at the Burnt Cape cafe you are truly missing out. Small business and innovation is the key to dynamic growth, especially in small communities. Ted and Marina have a vision for their Town, their home. The business currently offers everything you need at your fingertips. However, they have more big ideas on how to add accommodations, entertainment and experiential offers that appeal to locals and visitors. They are a partner with the annual Iceberg Festival, believe in strong promotion and understand the value of packaging and providing their customers with the highest in services and unique experiences. Sustaining a community takes commitment and these two truly have what it takes to build a stronger community. I would encourage you to drop by and support this locally owned and independent business that is doing incredibly big things in a small town.